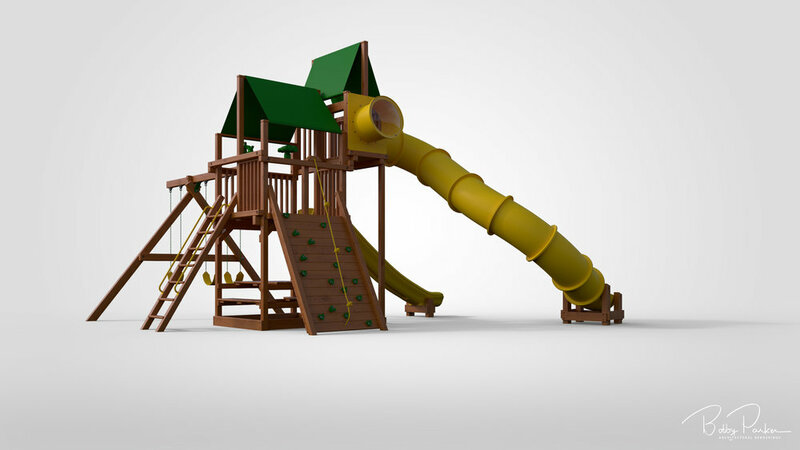 How fun, playset renderings! I have done many of these renderings over the years and they are always a nice break from some of the mammoth house renderings I work on. These were rendered with each material masked into their own layer on a transparent background. 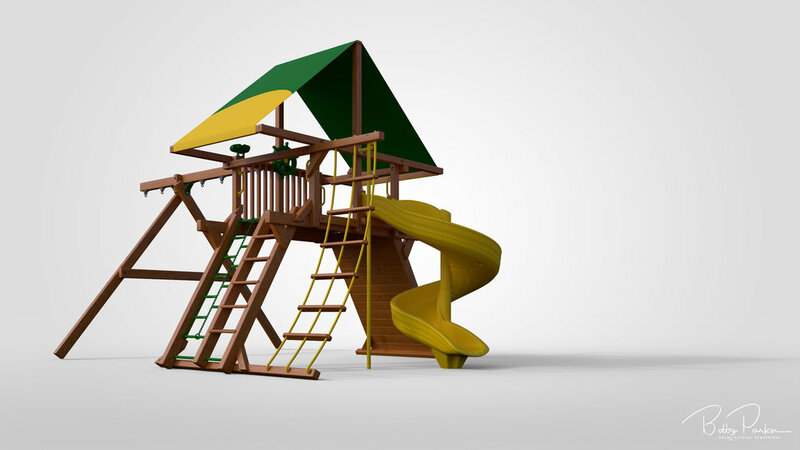 The owner has a photographer who will superimpose these over a photo and the playsets without swings, where swings should be, will paste photos of children swinging. 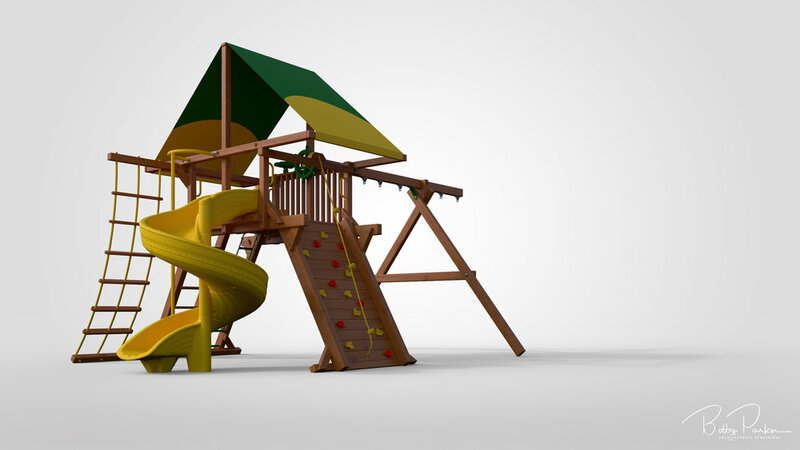 The play set renderings were rendered on a plane, which allows me to render shadows on a transparent background, so when the playset rendering is superimposed on the photo, the shadow will be there, too.